EXCLUSIVE: Pippa Middleton and James Matthews enjoy tropical honeymoon -- see the pics! 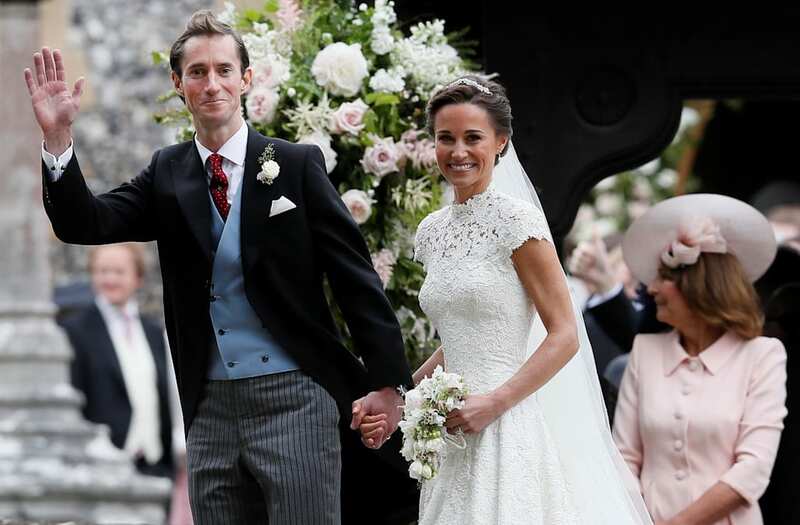 Pippa Middleton and James Matthews pulled out all the stops for their May 20 wedding -- and their honeymoon was no different! The newlyweds jetted off to Tetiaroa this week, a private and elite group of islands in French Polynesia, where they're staying at The Brando, an exclusive resort on the island, once owned by Marlon Brando. When not enjoying their reported $3,000 per night accommodations, Middleton and Matthews were spotted enjoying the island's beautiful beaches. The 33-year-old socialite looked casual and cute in a blue-and-white patterned sundress while strolling down the beach with her new husband, dressed in a t-shirt and colorful swim trunks. The two were big fans of paddleboarding throughout their vacay, as Middleton flaunted her fit bod in a tiny blue two-piece. WATCH: Prince Harry and Meghan Markle Are All Smiles Arriving at Pippa Middleton's Reception -- See the Pic! Middleton sported a white bikini as she and Matthews, 41, enjoyed a romantic walk down down the beach. The pair later got close during a mid-day swim in the ocean. Middleton and Matthews said "I do" last Saturday at St. Mark's Chruch in Englefield, England, surrounded by friends, family, and the royal family! See more on the pair's nuptials in the video above.